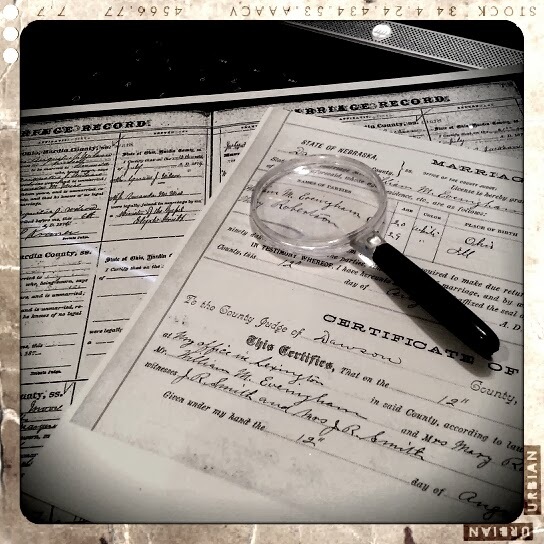 I have been participating in the 52 Weeks to Better Genealogy challenges. The challenge for week 4 was to use the inter-library loan system at our local library. The book I requested through ILL was History & Families Oldham County, Kentucky: the first century, 1824-1924. I had a photo of a house with Westport, KY written on it and simply took a stab in the dark by requesting a book for that area. Historical Society in hopes of finding out if the house is still standing and any information on the Gaines family. 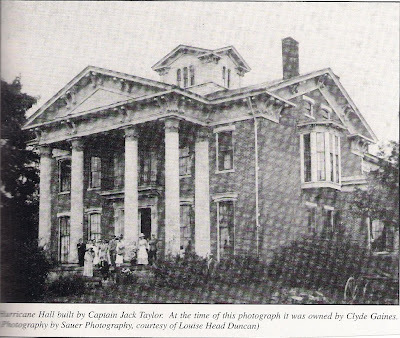 The book states the house is called Hurricane Hall and was built on a bluff above the Ohio River one mile north of Westport. I hope to hear something back tomorrow. 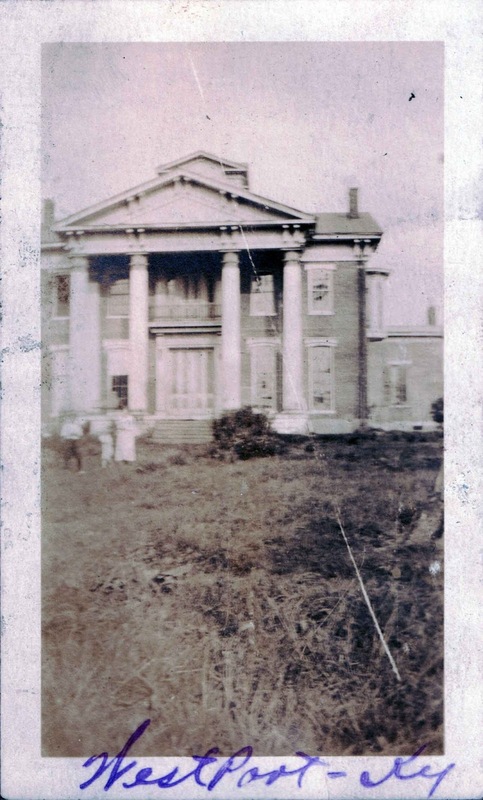 I spoke with the Oldham County Kentucky Historical Society...this house burned to the ground in the 1930's. I asked for additional information as to the location of the house. I was told, in no uncertain terms, that is private property and I would be trespassing if I went there. Seemed odd to me how adamant the Historical Society person was about that. Makes me wonder if the same family still owns the property and maybe she knows the family? I assured her I was only trying to locate the house on Google Earth which didn't seem to appease her all that much. Early in my genealogy research I added a lot of people to my collateral lines. Aunts, Uncles, Cousins and Cousins and Cousins. For the most part I did this because they just happened to be there. My direct ancestor would be living next door or on the same block as their in-laws or children etc. They were there, so I added them. As time has passed, my research time has diminished. That extra time used here and there to add collateral individuals became a hindrance to me. While I would still add the in-laws, I might not add all the cousins especially if I had to put any extra effort into identifying them. Last month I uploaded my RAW DNA data from Ancestry.com to Gedmatch.com. When I started receiving emails from possible matches I saw right away that I need more collaterals! Finding that common ancestor can be tricky and having more individuals to work with will be helpful. Now, on to add more aunts, uncles, cousins and cousins cousins to my tree.